Streaming media apps like those from Netflix, Hulu, Amazon and Sling TV are changing how we consume media, displacing traditional cable and satellite stalwarts with options more in line with how and when we want to watch. The transition, however, hasn’t exactly been a graceful one. Aside from the fragmented nature of individual offerings themselves, juggling multiple apps across multiple streaming devices – Apple TV, Roku, Amazon Fire, Chromecast, game consoles and so on – is a hassle. This is where Caavo enters the picture. The company’s set-top box by the same name, which recently made its debut at the Re/code conference, is designed to serve as the single hub for all of your other set-top boxes and streaming devices. Think of it as a fancy video input switcher, as PCWorld labels it. 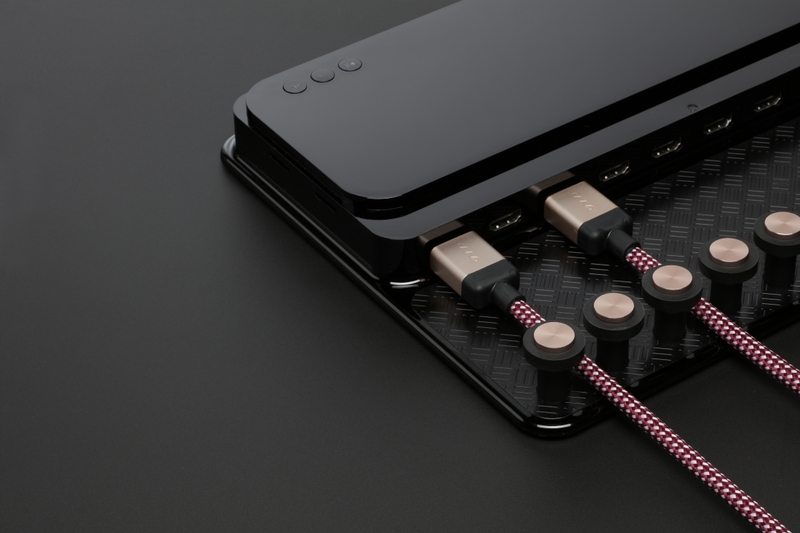 The Caavo box features eight HDMI inputs to connect all of your video devices (if you have more than eight streaming devices, that’s a problem in itself) which then gets connected to your television. It then uses a single interface to tie everything together, thus eliminating the need to juggle devices, learn multiple interfaces and so on. The only thing it appears to be missing is a coaxial input for live TV. The set-top box organizer will also be heavy on the wallet with an expected MSRP of $399 when it launches later this fall. That’s a lot of money for a bit of convenience but if you’ve got enough streaming devices to warrant consolidation and care a lot about aesthetics, it might be worth a look.